Table Mounted - Holds up to 6 (4 oz.) bottles. Stimulator & Electrode Accessories can be found in our extensive online collection of products from globally recognized and trusted brands, including Chattanooga. 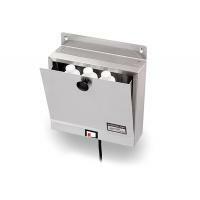 An excellent option to consider is the TM-1 Electric Lotion Warmer (110 V only).